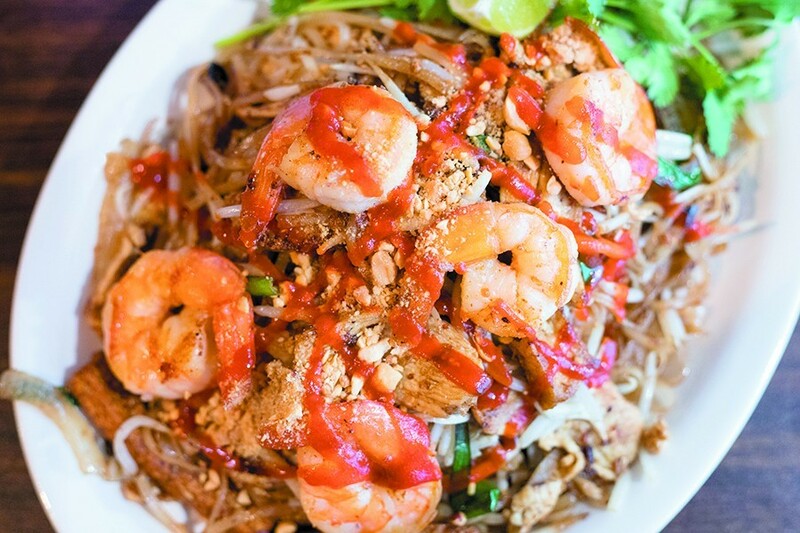 The pad Thai stir fry special shows the kitchen’s skill with pan-Asian fare. 20 Mullanphy Garden Shopping Center, Florissant; 314-755-1500. Mon.-Sun. 10 a.m.-10 p.m.
Any number of things may strike you on your first visit to Spot House. If the neon sign hanging on the façade above the entrance looks familiar, it's because the font is the same one used by Hot Shots. Or it might be the dining room that gives you flashbacks, its cavernous layout reminiscent of an elementary school cafeteria or a VFW hall. Nothing breaks up the space, save the maroon pleather booths and matching tables and chairs scattered throughout the room. But what is perhaps most noticeable, and certainly most poignant, is what's on the tables at this six-month-old spot in Florissant. As at many sports bars, the centerpiece consists of ketchup and mustard bottles and salt and pepper shakers in an empty Budweiser six-pack. 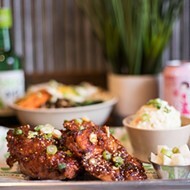 However, in addition to the all-American condiments, you'll also find a bottle of soy sauce, some hoisin and a squirt bottle of sriracha — you know, in case your dining companion opts for pho instead of a buffalo chicken sandwich and wants to amp up the flavor. An American-sports-bar/Vietnamese-restaurant hybrid might sound like a shaky concept to many restaurateurs, but not the refreshingly optimistic Jay Nguyen. An entrepreneur through and through, Nguyen has worked in a variety of industries since immigrating to the United States from his native Vietnam decades ago. He's been an auto mechanic, a house-flipper and a convenience-store owner, often working in these different roles concurrently. 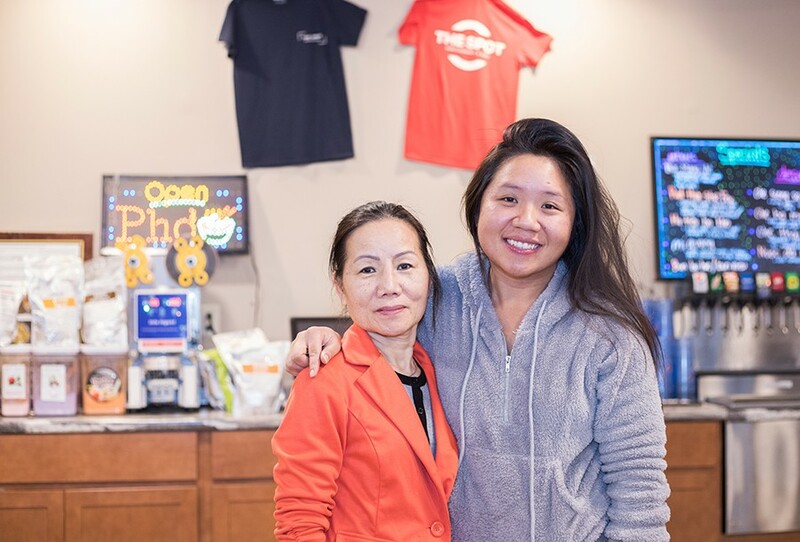 Chef/owner Lisa Pham and her daughter Kathi Pham, who serves as the restaurant’s manager. The entrepreneurial lifestyle kept Nguyen busy, and his wife, Lisa Pham, was always behind him, offering support through each new venture. Eventually, though, she let her husband know that she was ready to move forward with her own career. A talented home cook, Pham was eager to try her hand at running a restaurant. Nguyen obliged, and in 2011 the pair opened a classic bar and grill, Cedar Hill Resort, on Illinois' Great River Road. Cedar Hill Resort showed Nguyen and Pham that they could be successful in the restaurant business, but they wanted more. 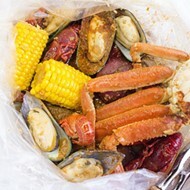 Though their eatery enjoys great success during the summer months, its location along the river makes it a seasonal spot for the area's boaters. The pair wanted a year-round place, ideally somewhere closer to their north-county home where they could provide a service to their community. When they came across a double storefront on the north side of Florissant, they knew they'd found their spot. If the Spot House concept is ambitious, its large space makes it even more so. You could hold a sizable wedding reception in the main dining room — and it would provide a blank canvas on which to work. The restaurant is sparsely decorated, conspicuously so. Save for some beer advertisements and a couple of flatscreen televisions, there is little to break up the brightly lit space. A potted plant and some faux citrus trees sit atop a half-wall partition that separates the booths from the tables. 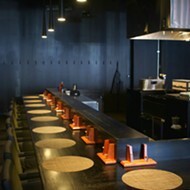 Even the service bar is nothing but an open counter completely exposed to the rest of the restaurant. If you want a more intimate (or at least less glaringly open) experience, the separate bar area, complete with several high-top tables, is dimly lit and cozier. The dining room is vast, with nothing to divide the space. Nguyen and Pham's plan to fill the space is based on the theory that if you have something for everyone, you will attract a large crowd. They're off to a good start: Despite its massive size, the dining room felt fairly full on a Friday evening, the bar even fuller. 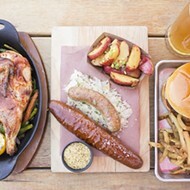 You'd expect such a broad menu to result in lackluster food, but at Spot House, quantity is not a substitute for quality. 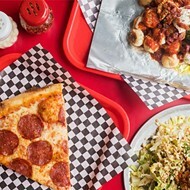 Granted, the "American" side of the menu is standard bar fare — burgers, fried chicken sandwiches, potato skins — but Pham makes everything in-house. A fried mushroom appetizer, for instance, consists of fresh mushrooms that have been hand-breaded in a bright orange batter, seasoned with a subtle chile spice. Unlike their gummy, straight-from-the-freezer counterparts, these mushrooms are plump and meaty, fried al dente and served with zesty chipotle ranch for dipping. It's bar food, sure, but it's house-made bar food. The difference is evident. Potato skins, too, benefit from being freshly prepared. A thick layer of fluffy spuds, encased in their seasoned skins, serves as a base for chives, bacon, onions and cheddar cheese. Pham does not reinvent the wheel, but she executes a classic well. Likewise, shrimp poppers underscore the beauty of deep-fried cream cheese; here the shellfish is surrounded by a large slice of red bell pepper, filled with cream cheese, breaded and then fried until it's a molten, gooey pleasure. It's so delightfully decadent, it should come with a surgeon general's warning. 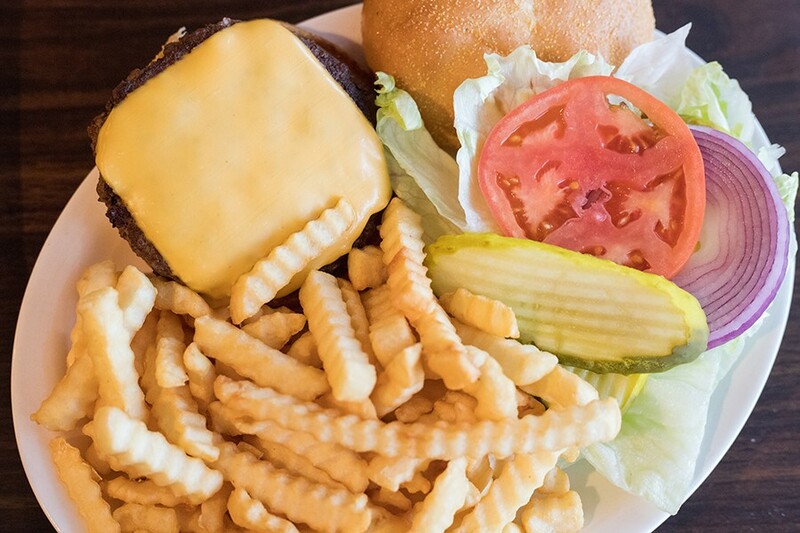 The cheeseburger is topped with American cheese, lettuce, tomato, onions and pickles. Burgers at Spot House are massive half-pound discs of ground beef, hand pattied to about an inch-and-a-half thick. Though cooked throughout (our server did not ask for a temperature), the fat content ensured that the burger was still juicy. Simply dressed with crisp lettuce, onions, pickles and sliced tomatoes, it's what you want when you go out for a hamburger. "Big Dave's Chicken Sandwich" is equally satisfying. Pham smothers a perfectly cooked, seasoned chicken breast in gooey Swiss cheese, thick slices of bacon, and white onions that are cooked enough to release their natural sweetness but not to the point of losing their snappy texture. Some sort of sauce to brighten and cut through the cheese and bacon richness would have been welcome, but it's an otherwise good sandwich. As a rule, I refuse to order any form of seafood taco at a restaurant that looks as if it has no business serving seafood tacos — meaning, yes, a sports bar in north county. (I'm a native; I can say such things.) Spot House's shrimp tacos may provide the one asterisk to my theory. Three flour tortillas are stuffed with succulent sautéed shrimp, crunchy cabbage, avocados and a rich mango salsa that is both sweet and tinged with the subtle spice of Thai chile sauce. This is not an authentic Baja fish taco, but it's a pleasing, Vietnamese-American take on the dish. Pho dac biet combines rice noodles, beef meatballs, medium-rare sliced beef and brisket in a savory broth. And while Spot House offers good bar food, it's at its most thrilling when delivering Vietnamese specialties. 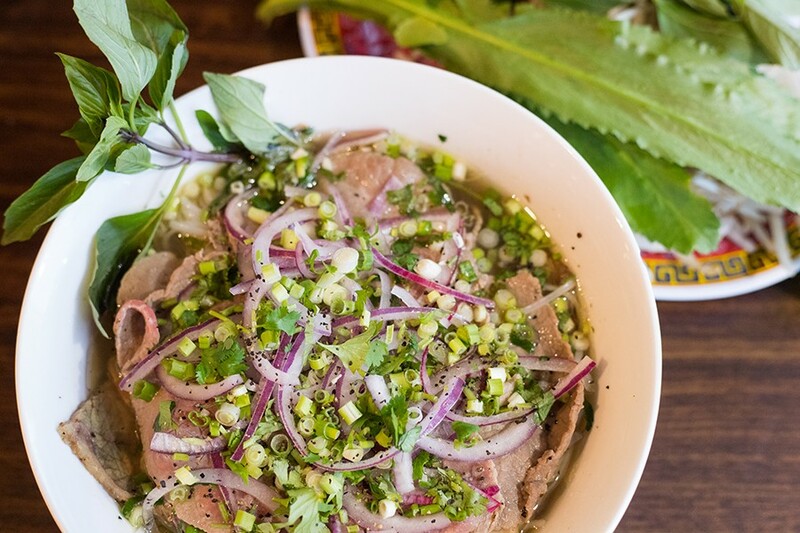 Pho dac biet shows Pham's deft touch on the classic noodle soup. Delicate, yet powerful, beefy broth tastes of anise and black pepper. In it bob vermicelli noodles, fatty slices of medium-rare beef, meatballs and tendon; their deeply savory flavor is cut by accompanying Thai basil, jalapeños and lime that you can add to taste. It's a quintessential rendering of the form. The bánh mì dac biet is another well-executed take on a classic. Here, a crusty baguette is sliced in half and spread with luscious pâté and mayonnaise. This serves as a base for slices of anise-scented sausage, thinly cut roast pork, pickled vegetables and fresh herbs that are so overstuffed onto the bread you can barely fit the sandwich in your mouth. It ticks all of the flavor points you want in a bánh mì: earthy, rich, savory, verdant, piquant. 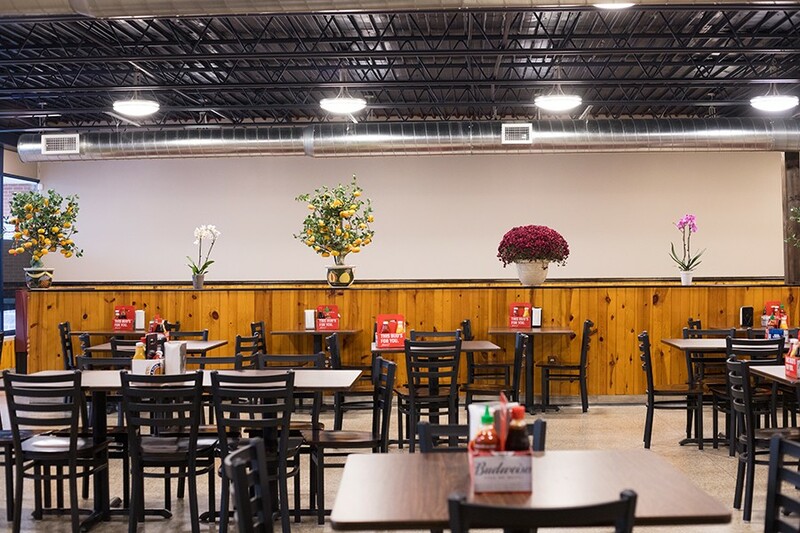 It's no wonder it's become one of the restaurant's top sellers, even to diners previously unfamiliar with Vietnamese cuisine. 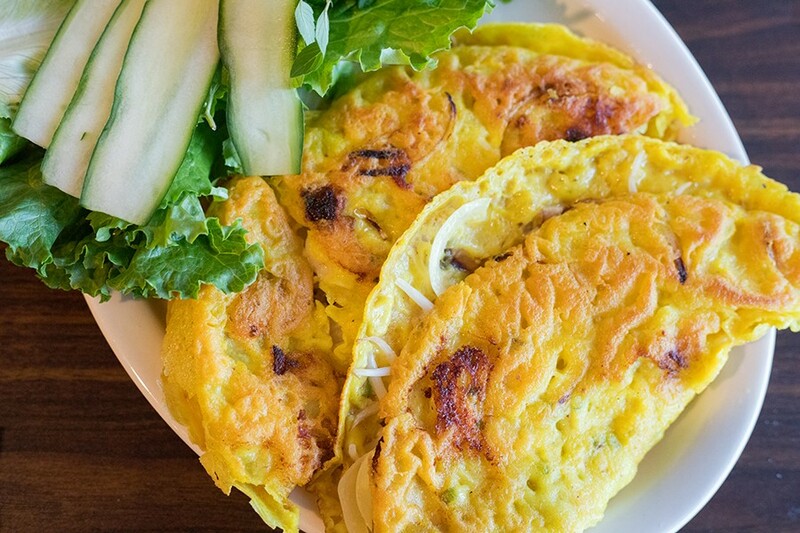 Banh xeo are Vietnamese-style crispy crepes filled with shrimp, pork, and bean sprouts, served with fish sauce. Spot House's most dazzling dish, though, is the bánh xèo, two massive crepes that have a rich, earthy taste, as if they have been fried in turmeric oil. Shrimp, pork and bean sprouts fill the crepes with rich, savory flavor, while sprigs of fresh mint and cilantro add bright refreshment. The dish is flavor-packed on its own, but the accompanying fish sauce, served on the side for dipping, adds a complex funk that pairs beautifully with the egg concoction. It's masterful. 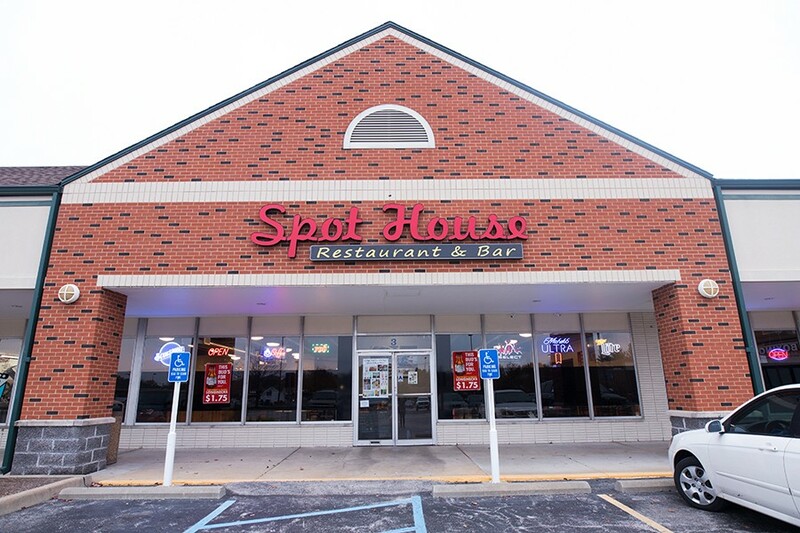 Spot House is located in Florissant. I'd expected to see a clear pattern as to who orders what at Spot House — jersey-clad, Bud Heavy-drinking north-county natives opting for burgers, Vietnamese clientele leaning toward the pho. To my surprise, I didn't see such culinary self-segregation. Instead, I witnessed a family of six fill its table with a mix of both Vietnamese and American dishes. Spring rolls and jalapeño poppers for the table, bánh mì for dad, buffalo chicken for mom. And I saw scenes like that time and again on both my visits. Spot House isn't just a down-home county bar and grill, and it isn't just a Vietnamese restaurant. It's both, and in that, it's hope for the future. I like to believe Nguyen and Pham are on to something. If Heinz and hoisin can beautifully coexist in a north-county sports bar, there may yet be hope for us all.